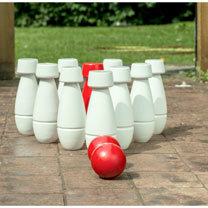 Playing this garden game, individual players or teams take turns to knock all the skittles over and the highest score wins. 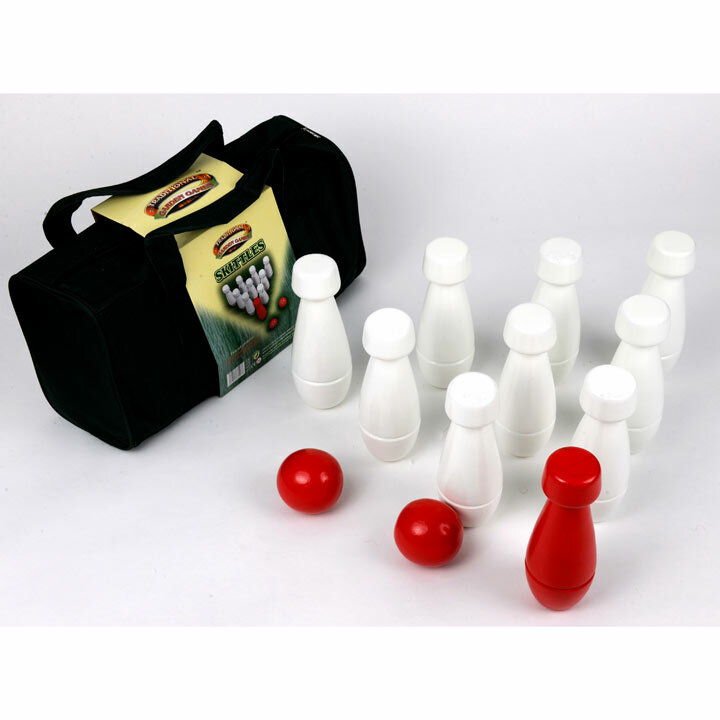 Ten piece wooden garden skittles supplied in a quality canvas storage bag. 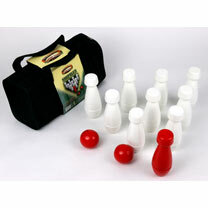 Made from quality wood, the set contains ten Skittles, height 21 cms, two colour balls, full instructions. Ages 14+.